Montego Bay vacations offer the best getaway experience to frolic in azure waters of the Caribbean, get your tan on laying out on sun-drenched beaches and enjoying the cool ocean breezes. Listening to the lively vibe of reggae music and the amazing Jamaican ambiance to its fullest. Montego Bay is the second largest city of the most popular Caribbean Island, Jamaica. Vacationing in Montego Bay seems more geared to a beach lover's retreat than anything else. As befits a land of resorts, MoBay has a wide array of budget to luxurious vacation packages for everyone to enjoy. If you are not staying at one of the many resorts you can still get an all-day pass to private beaches lined with palms on this hip strip of turquoise waters. Make sure you have the right trip gear and have checked all trip requirements before you leave for Jamaica. Figure out the budget that you have to spend on your vacation. Based on your monetary budget, make a list of tours, places to see, food and shopping stuff that you'll want to do in Montego Bay and the surrounding area of Jamaica. 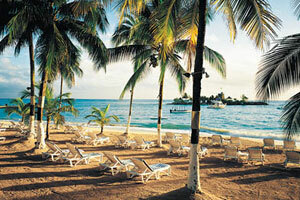 Also search for Montego Bay Hotels packages and deals that suit your needs. Write down the things you want to do and research the best way to experience them. You can include exciting things to do and attractions to sight-see. This way you will enjoy your vacation to its fullest. Familiarize yourself with the regional differences, currency value, transportation rules, airport policies and other legal matters. Most vacation packages include flight charges, transportation, hotel accommodation and meals. You will find a great deal of packages with varying prices. Road trips, adventure tours and other leisure activities can be added to the package depending on your choice. Montego Bay is ideal for couples wanting to get married in Jamaica. Almost all the resorts cover arrangements for wedding ceremonies, all-inclusive stay and fun activities for the couple and also offer honeymoon tours. For water sports fanatics there are many adventurous activities like para-sailing, canoeing, kayaking, snorkeling, windsurfing, water-skiing, riding aqua trikes and hydro-bikes. For the more adventurous kind there are also rafting tours that lead you through waterfalls and huge rocks formation. For the diving enthusiasts there are scuba diving vacation packages offered at local windsurf and scuba shops. These organizers will arrange group or individual events for you. You will have expert help available and will be provided with professional diving equipment and a personal guide. Some resorts even offer a scuba diving course and award you a certificate when you pass. Resorts also include indoor amenities like private pools, patios, internet and emailing, haute cuisines, snacks and vibrant night life activities. The best thing about Montego Bay vacations is that you will never get bored. Every moment here can be filled with unparalleled beauty and unforgettable adventure leaving you desiring more.